Recently, I had the pleasure of talking to Ron Russitano, owner of one of Pittsburgh, PA's largest comics retailers, about DC Comics' recent decisions to relaunch their line and make the jump to a same-day digital and print release schedule. Ron has owned the shop for nearly two decades and has seen all the highs and lows of the industry since that time, so I felt confident asking his opinion. DELUSIONAL HONESTY: What's your customer base? DH: First, how has DC been selling in your shop recently? 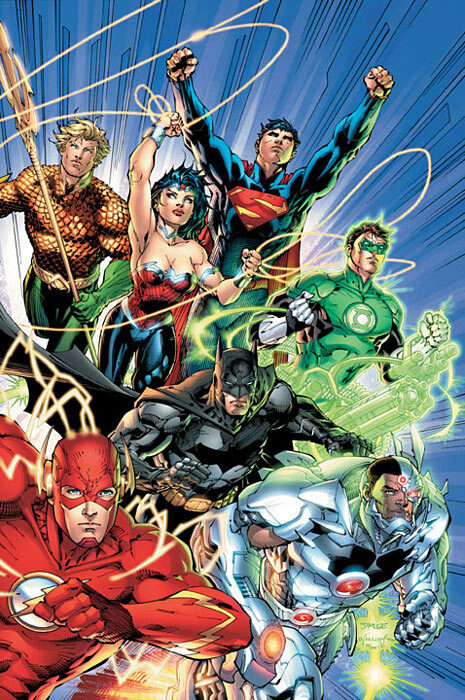 DH: What's your opinion so far on DC's announcement about shipping all 52 new #1's in a single month? How does that impact you as a retailer? RR: At first I thought it would make it a little tough to order, but then I heard that most of the books would be fully returnable, which will probably make me over-order everything. DH: I know that per the communique with Bob Wayne from DC, 41 of the 52 relaunches will be returnable for at least the first three months. And then you as a retailer have to order 125% more than your May orders in order for the books to be returnable. If you have to return them, then you'll be issued credit minus ten percent of the cover price. RR: Yeah, the restocking fee. DH: Is that advantageous for you as a retailer, then? RR: It is on the surface, but out of all my subscribers, I have hundreds of subscribers, and only three of them have told me that they're going to buy everything. Just a small percentage. DH: What is the early reaction from your customers who are in the know? Is anyone dropping/adding books? RR: Everyone's adding, nobody's dropping, but I am hearing verbal complaints. DH: What kind of complaints? RR: Too ambitious, a lot of continuity people do not want to see their continuity erased. A lot of people believe this is going to be a reboot and not a relaunch. DH: And there's still some confusion about that. RR: Yeah, that's a good way of putting it. DH: What about DC's announcement of going same-day digital with all releases. How does that stand to impact you? DH: Do you think the price parity will help keep the local comic shop competing? RR: It helps, it definitely helps. To me the only, the biggest advantage that digital has over buying them off the shelf is that people don't have to worry about storage so much, so many comics. That's the only advantage. You don't have the physical storage space. Other than that, I think if you take that away, anyone would take the paper copy over digital. DH: Are you expecting new customers when the new #1s come out? RR: I'm sure there's going to be some people who have dropped out of the industry who are curious to see what's going to happen, and might stop back in, but there's no way to gauge that. 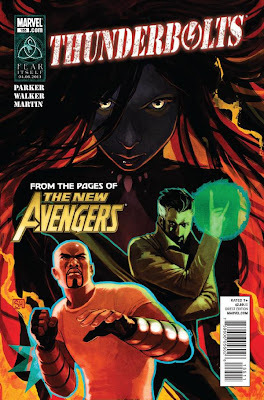 DH: Do you think Marvel will be following in DC's footsteps? RR: That's a good question. I think it's inevitable, but who knows how Disney works? DH: We also have Diamond's digital program. Have you heard anything that might be forthcoming on that front? RR: Yeah, I heard that that's gonna be available to retailers sometime in August or September. I've talked with two [Diamond] representatives about it already. From what I hear, Diamond is not very happy with DC's plan to forgo Diamond distribution and the retailers as far as the digital. They're not happy about it at all. But I can't name my sources! DH: No worries. Do you have anything else to say? Do you see DC's developments as generally good or bad for the industry? RR: As a reader, I'm very interested. I'm still a comic book fan and a reader, unlike most comic [shop] owners. I'm very much looking forward to all the new #1 launches to read, it's something that piques my curiosity. As a retailer, I am not happy at all about the digital. But, there's nothing you can do about it, because you can't stop the internet. DH: Do you think it might have been better for DC--I've heard this from a few other retailers--that they think it would've been better to spread all the relaunches out over a few months as opposed to having 52 all in one month? RR: I think this is a little daunting for people's pocketbooks in this economy. Yes, I agree with that. My thanks go out to Ron for being gracious enough to talk about this popular topic in comics today. If you're ever in Pittsburgh, please stop by Ron's shop at Parkway Center Mall. 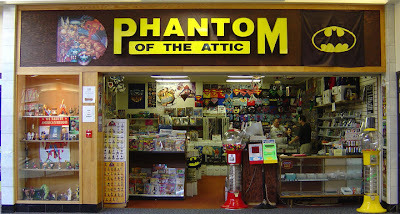 Phantom of the Attic has a website and a Facebook page, and the shop has just started a Twitter feed, too!